iOS and iTunes provide a few easy ways to manage your apps and keep them organized, such as Folders on the device itself and the ability to manage and edit multiple pages and sets of apps from within iTunes. However, even with these tools its easy to misplace an app that’s lost among the dozens of folders and hundreds of apps you may have on your iPhone, iPod touch, and iPad. Luckily, you can easily locate any app on your device from within iTunes. 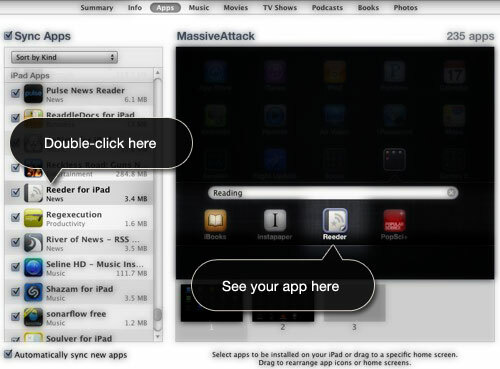 After you have connected your iOS device to your PC or Mac and selected it in iTunes, you can view your apps by click “Apps” at the top of iTunes. Double-clicking an app from the pane on the left will show you it’s exact location on your iPhone springboard, even if it’s in a folder.